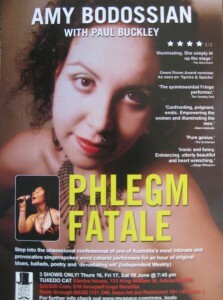 If you want to see a brilliant show at the Adelaide Cabaret Festival (Tuxedo Cat, June 16-18) you’re too late. Obviously Amy has a giant ego, yet she’s also constantly self-deprecating as when she introduces You’re the One: “a poem, fresh, bloody from the womb. A very, very new one. Well not AS new as I pretend it is, but new. New enough.” There are universal moments from childhood. Moments which turn from uncomfortable to poignant in an instant. Paul Buckley who wrote many of the songs plays clarinet, piano and guitar accompaniment brilliantly. Amy doesn’t play by the rules or fit neatly into any genre. She has a beautiful voice with an amazing range. She can go from confronting to heart-rending in a heartbeat. If she’s ever playing again somewhere – see her. PS: There are clips of her on Youtube and MySpace. You’ll find them. PPS: Thanks to Amelia Walker for inviting us. 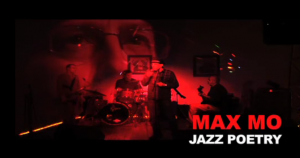 I’m really looking forward to our next Max-Mo gig. Amelia’s back and we’ve all been rehearsing new material. Should be a great night. Hope to see some of you there. Where: Higher Ground, north end of Light Square, Adelaide. Thanks to Hilary, Bel, Em, Lilian and guest artist Gareth Chin (accordion) for a wonderful multicultural mix of music at last night’s concert at Nexus Cabaret. 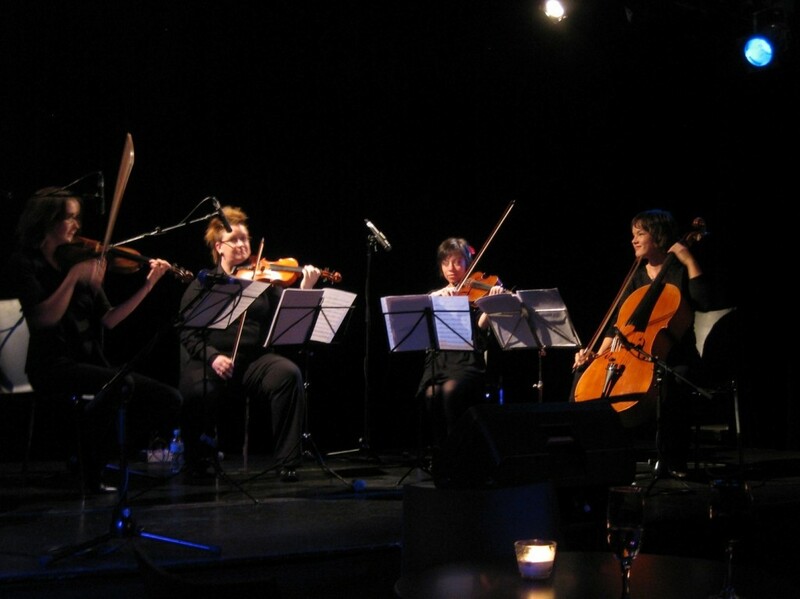 The performance (as part of Adelaide’s Cabaret Fringe Festival which began last night) featured music from Syria, Macedonia, Norway, Sweden and Mexico, Zephyr’s own compositions and tango music by Astor Piazolla. Zephyr Quartet never fails to amaze me – always stretching the boundaries and never content to settle into any one genre. Beautiful music. Onlymeith has put together a very gothic and cinematic remix of my identical twins poem. Have a listen. As always, you need good headphones or speakers to appreciate the full dynamic range of his very professional production. All of my audio poems are archived – hit the audio button above for the whole collection. Onlymeith is Carlos Clemente from Madrid. He also did a superb job with Aching Eyes. See more of onlymeith’s work HERE. 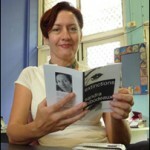 Thanks to Sandra Thibodeaux (Australia Poetry’s Poet in residence for 2011) for her challenging disturbing the poem workshop at the SA Writers Centre on Wednesday night. Sandra had us submit work to her weeks ahead of the session and challenged us to rewrite our own (and others’) poems in different voices, from alternate points of view, with improved endings and better titles. I especially appreciated the obvious time and thought that she’d put into all of our work in preparation for the night. If you get the opportunity to do this workshop, take it!